"Over the years I had developed my skill set with the horses and the guys. I was aware of other teams and competitions between them, but I was happy with my little corner of the world and never really worried about them. 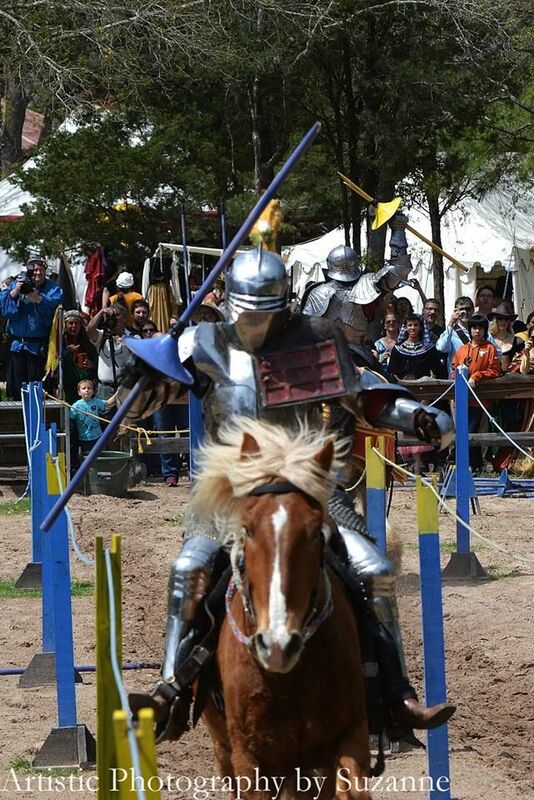 Fast forward to 2013 at the Sherwood Forest Faire, and I received my first taste competing in a tourney. And in 2014, I found myself getting ready to compete again. Charlie Andrews and the Knights of Mayhem were among some of the competitors. Charlie's reputation as a competitor was well known. Having an opportunity to ride against him certainly piqued my interest. Who knew what was about to happen? "Sherwood's closing tournament was an amazing experience, and I am grateful to of been part of it. All the jousters were spectacular. There were some great matches, and the high level of camaraderie made the weekend one to remember. 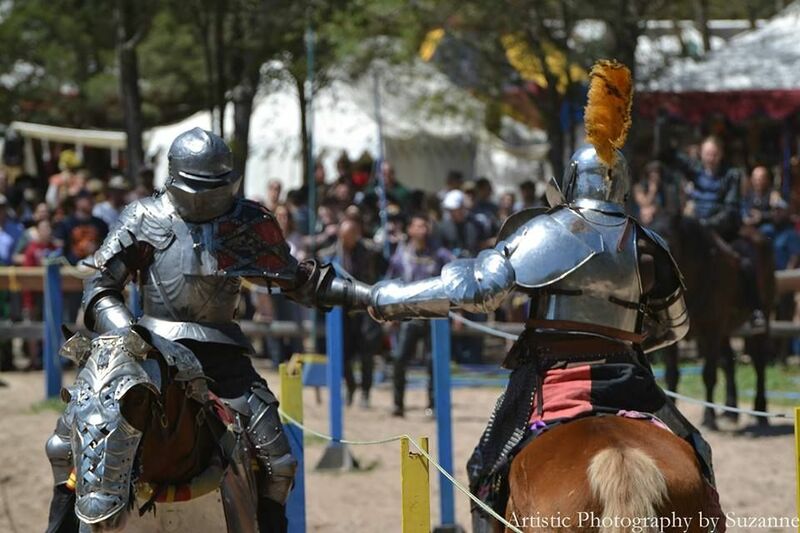 Instead of everyone getting worked up and overly competitive, all the jousters were there to just have a good time and put on a good show for the audience, which we did! Two double un-horsings on the first day, numerous knock offs, and an amazing finale joust really showed the fans how amazing jousting can be. Plus we had the most entertaining and excellent Marshall ever! Photographer Suzanne DeMink, who kindly allows The Jousting Life to use her pictures, flew down from Michigan specifically to photograph the Sherwood Forest Faire Jousting Tournament. She also had something to say about a group of people that are absolutely essential for every tournament, but who rarely receive cheers from the crowd for the work that they do. "Today, my sincere kudos go the the grounds crew and squires that worked the Sherwood Forest Faire. They were amazing. If the lyst fell down, they were running to fix it; they were running to pick up every broken lance piece; they were adjusting armor; they were assembling more lances on the fly; they were stopping horses from blowing out the lyst; they were engaging the crowd; they were doing it all, and making the whole event look effortless! Happy to see Joshua doing something that he loves.